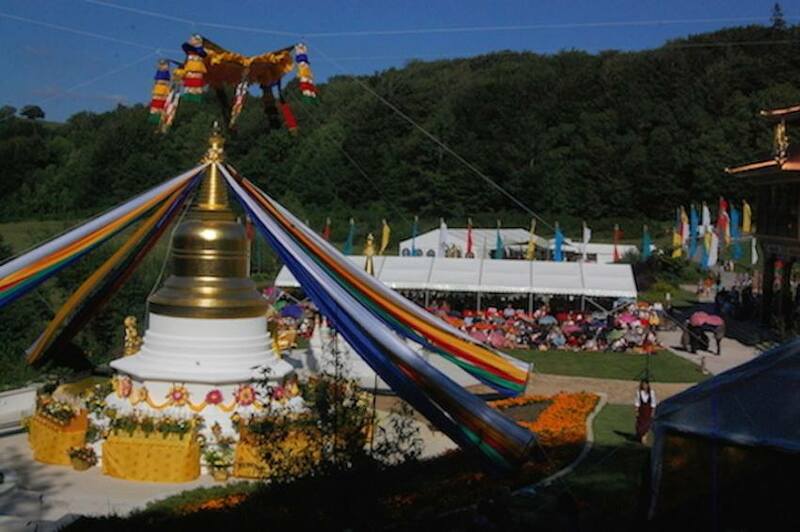 All those who were touched by Khandro’s presence and inspired by her extraordinary example are invited to contribute towards building a commemorative stupa in her honour at Lerab Ling. A stupa, or chorten, is symbolic representation of the enlightened mind of the Buddha and is one of the most known and sacred of all Buddhist symbols and monuments. Contributing towards the construction of a stupa is said to bring inconceivable benefit to the donor, both now and in future lives. Please make a donation to the Khandro Memorial Fund. Thank you for your generosity to this very special project!